Considering getting a Pembroke Welsh Corgi? The Pembroke Welsh Corgi is one of two breeds of Welsh Corgis (the other is the Cardigan Welsh Corgi) of which both are descended from the northern spitz lineage or Swedish Vallhund. This corgi breed is famous for being a favourite of Queen Elizabeth II. The Pembroke Welsh Corgi often referred to as the dwarf dog because of its short stature and distinctively short legs. It weighs 24 to 31 pounds and stands 25 to 30 centimetres. Pembroke Welsh Corgis are playful, affectionate and have eager-to-please personalities. Pembrokes have a lifespan of 12 to 14 years. Do you want to own a Pembroke Welsh Corgi? Here is a complete background information on the once most favoured dog breed of the British royalty. The origins of the Pembroke Welsh Corgi can be found as far back as 1107 AD. Historical records suggest that this dog breed was brought by the Vikings and Flemish weavers when they immigrated to Wales in the 9th and 10th century. Pembroke Welsh Corgis were bred to herd sheep, ducks, horse and cattle. This breed is one of the oldest herding dog breeds. Its historical pedigree is unclear, but the widely accepted theory coincides with the Pembroke Welsh Corgi being descended from Swedish Vallhund and crossed with local Welsh herding dogs. The other theory is that this dog breed may have descended from northern spitz-type dogs like the Siberian Husky. In the 1920s, both the Cardigan and Pembroke Welsh Corgis were officially recognised as purebred dogs until they were classed as separate breeds in 1934. Today, the Pembroke Welsh Corgi's popularity has declined, but they still make one of the most wonderful companions and family pets. The Pembroke Welsh Corgi has a low but strong body. This breed, like its cousin Cardigan Welsh Corgi, is referred to as "true dwarfs" since they are characterised by a short stature due to a condition called achondroplasia. Pembroke Welsh Corgis are the smallest of the herding group, weighing 24 to 31 pounds and standing 25 to 30 centimetres. Pembroke Welsh Corgi has a foxy appearance. They have oval-shaped eyes with erect ears. One can differentiate a Pembroke from a Cardigan through their tails. The Pembroke's tail is shorter and almost docked, while the Cardigan’s is long. Most Pembrokes come in red, sable, fawn or black, and tan varieties. They sport a double coat, which is comprised of a thick undercoat and a longer topcoat. They shed throughout the year and shed heavily during autumn and spring. Pembrokes have fluffy coats and wear a fairy saddle on their backs. Daily brushing is recommended to keep their coats clean especially during seasonal shedding. When it comes to bathing, some people prefer to bathe the Pembrokes regularly to help control the shedding. However, baths can be done only when necessary. It depends on your preference. Other than coat grooming, basic care must also be observed to nails, teeth and ears. Clean the ears regularly to prevent infections due to bacteria growth. Teeth should be brushed at least two or three times a week to avoid dental issues. And nails must be trimmed once or twice a month to prevent painful overgrowth. Pembroke Welsh Corgis are affectionate and loving dogs. They are undoubtedly clingy and will follow their owners wherever. Due to this, it is important that Pembrokes are raised in a household where at least one family member stays home. When left to their devices for longer periods of time, Pembrokes suffer from separation anxiety and tend to develop bad habits. On the flip side of their devoted personality, they are super easy to train. Not only are Pembrokes one of the smartest dog breeds, but they also have the greatest desire to please their owners. They love to eat, thus can be motivated by to do well in training. Pembrokes are great watchdogs since they are naturally suspicious of strangers and are quick to bark. They are great with children but are not the best choice for families with small kids since they tend to nip. Nevertheless, any interaction between Pembrokes and children must be supervised. Pembrokes can be happy to laze around the house and chill, but they are highly energetic dogs with incredible stamina. Since they were bred to work (herd cattle), they love to be outdoors more. Ideal homes for a Pembroke Welsh Corgi are those that are situated in the countryside where there is bigger space to roam and run. However, they can also be content to dwell in a city apartment with a securely fenced yard or back garden. A typical serving of an adult Pembroke Welsh Corgi is 3/4 to 1/2 cup of excellent quality dry dog food per day. As a breed that loves to eat and quickly puts on weight, make sure that food is measured and servings are divided into two meals a day. The Pembroke Welsh Corgi must be fed with high-quality dog food that meets its high energy needs. A balanced diet should include meat such as chicken, turkey, beef and lamb. Also, include Omega 3 and 6 fatty acids to maintain the health of a Pembroke's coat. If you're not sure about what and how much to feed a Pembroke Welsh Corgi, then consult your veterinarian. Pembrokes can live up to 15 years if properly cared for with all needs provided especially when it comes to nutrition and exercises. However, despite being a healthy breed, Pembroke Welsh Corgis are also predisposed to some health conditions like Monorchidism, Von Willebrand's disease, Hip Dysplasia, Degenerative Myelopathy, and Progressive Retinal Atrophy. This dog breed is highly-energetic with unbelievable stamina, so it will do well to compete in dog agility trials, obedience, tracking, and herding events. Pembrokes are extremely intelligent and active, so give them adequate daily exercise and mental stimulation. The Pembroke Welsh Corgi may small but owning one can still create a dent in your budget. Not to mention, Pembrokes are rare breeds, and only a few are registered every year. 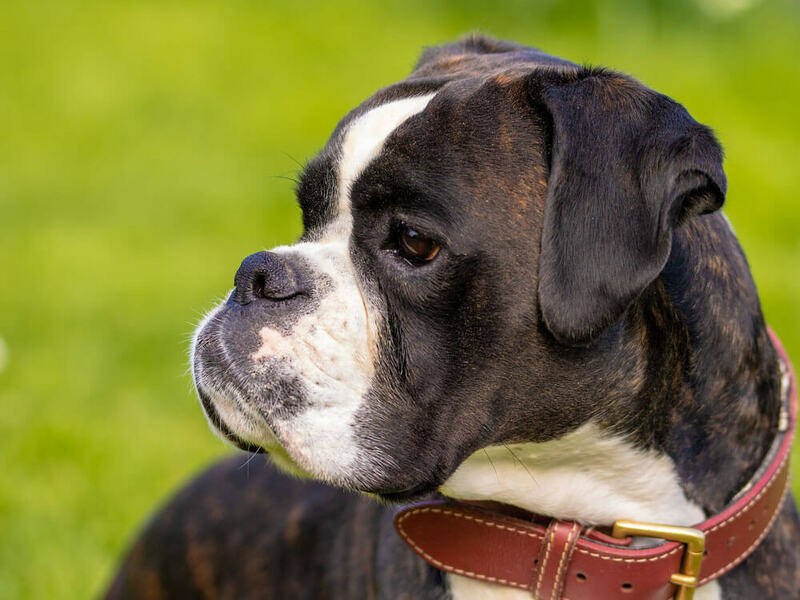 This means you will have to be on a waiting list and will have to pay at least £1,000 for a well-bred pedigree puppy from a reputable breeder. However, this is only the beginning of a few financial setbacks if you're not prepared. Pet insurance, for a costly dog, is important to help you manage treatment costs during sudden illnesses. Pet insurance can cost anywhere from £20 to £50, depending on the type of coverage you will avail. Veterinary consultations and routine health procedures can cost you around £800 annually. This includes the cost to neuter, initial vaccinations and annual boosters. On top of all these expenses, food will cost you about £20 to £30 a month. Everything may seem unmanageable, but as long as you can afford to shell out £50 to £80 a month and a bit of extra, then you're good. The Pembroke Welsh Corgi is one of the two Corgi breeds. They are naturally suspicious of strangers and are quick to bark. Pembrokes shed throughout the year and more so twice a year. They can stay anywhere in a countryside or city apartment as long as it has a secured fenced yard. They are the best choice for experienced dog owners with older children.